This is a substantive management programme, typically delivered over a nine month period in the case of full-time students. 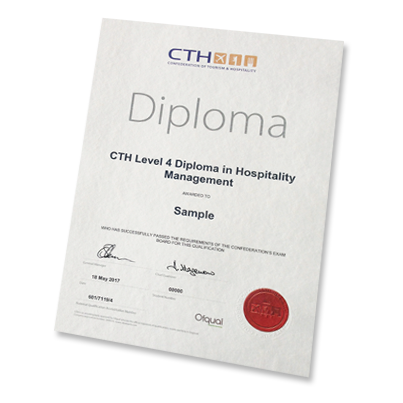 CTH Level 4 courses combine practical career-based elements with a number of essential management disciplines that will be invaluable as the individual’s career progresses. The course therefore provides the practicality needed for the workplace with the theory needed to advance in management roles and in education. This management programme comprises 7 mandatory units totaling 120 credits. Minimum Guided Learning Hours are 480 and assessment is by a combination of closed book written 3 hour examination or assignment/work assessment. Students must have completed secondary education at AS level with the minimum English proficiency of IELTS 5.0 or an approved equivalent. This unit enables students to gain an understanding of main sources of finance, to understand the relationships between cost volume and profit, to carry out specific costing practices and make recommendations on prices and interpret business performance using recognised tools. It is not an in-depth accounting unit, and this should be borne in mind when planning and executing the delivery.